Disclaimer: I do not know how graphic this video is. We informed you in a previous article, the war between the nationalists against the oligarchs in Ukraine, the “nationalist” being themselves in the pay of some oligarchs. Petro Poroshenko, the President of Ukraine, encouraged by the United States, decided to do away with the Right Sector that brought him to power agitating the people on Maidan Square and fomenting the coup, but manifested in recent times some inclination to repeat the operation against him. Following the shooting which opposed him to a band more or less mafia of a deputy of parliament in Kiev, Pravy Sektor (Right Sector) was first taken refuge in a traffic police post at the entrance to the city, before leaving in the hills of Transcarpathia region, go underground. An anti-terrorist operation was launched to capture Saturday, July 18 in the morning. The mountain rang all weekend firefights from both sides. Dmitro Iaroch, their leader, refusing to surrender. Lately, this pro-European nationalist party had felt betrayed. Its leader Dmitry Yarosh denounced Western pressure and requested to stop “worshiping the European Union, this colossus with feet of clay. “He also threatened the government to redo a new Maidan specifying that this time, Poroshenko and Prime Minister Arseniy Yatsenyuk, do not escape them, unlike former President Yanukovych who, for his part, had found refuge in Russia . It even seems that the events of Mukachevo were actually intended to bring a new kind of Orange Revolution. “Not that criminelless local organizations active in the region, but also the Ryazan commando detachment. Their leader confirmed that his men were present. According to preliminary data we have more information on illegal traffic, sports complex also used as a training base for fighters DNR “said Andrei Charaskine, the spokesman Pravy Sektor. One wonders what the Donetsk fighters could well be so far from their base in the Ukrainian … But chaos, everything is possible. It can be seen that tensions in Ukraine multiply and come from different sides at once. But Poroshenko who put in the new government of foreigners entirely devoted to US interests, bases his authority and force abroad. Besides the US organized military maneuvers bringing together several nationalities, which will take place soon in western Ukraine. “If the Hungarians in Transcarpathia were persecuted and they were forced to flee, we would help and would welcome all” promised M.Lazar, the Hungarian Prime Minister. Budapest which is developing support programs for Hungarians in Ukraine is also strengthening its border. In this context, the eventual persecution of the Hungarian minority in Transcarpathia, we escape a little … But who is not persecuted in Ukraine? The complexity of the situation in the country becomes opaque by the day, and turns to a civil war that could be generalized. For the record, the Dnieper battalion emanates from the political party Pravy Sektor. He was one of the fiercest among those battalions rampant (or raged) against the population of Donbass in the east of the country, where civil war continues. 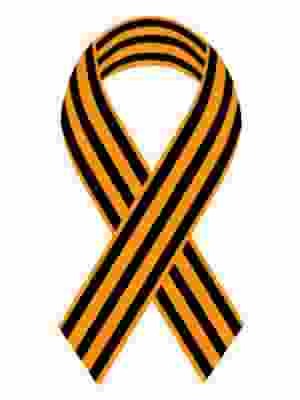 This movement of neo-Nazi extreme right is closely linked to nationalist party Svoboda, member of the coalition which came to power in Ukraine after the coup of Maidan in February 2014, also called second Orange Revolution. In January and February 2014, Pravy Sektor activists had participated in the occupation of public buildings, the looting of police arsenals and violence against the security forces. They are then activated in suppressing the rebellion of the New Russia, in the south-east. Dmitri Yarosh, their leader, is probably still under the influence of a research mandate of Russian General Prosecutor’s Office. In Parliament, he had a few ambitions to be elected for president in 2014. The National Guard was sent to fight in Mukachevo has its origin as Pravy Sektor, of the coup of Maidan. It is within agitators of Maidan Square that it drew to form an initiative of the Rada. It is under control of the Ministry of Interior, is the political police of the regime. While Pravyi sektor is or was the private militia of the oligarch governor of Dniepopetrovsk region, which he was forced to resign some weeks ago following a standoff with the chocolate oligarch of Kiev: Poroshenko.